This book is meant primarily for singers, but may also interest voice teachers, coaches, accompanists, conductors, composers and editors. 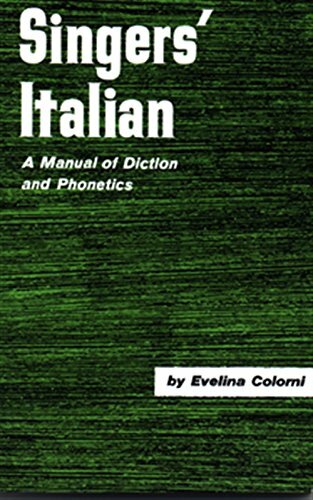 It deals with Italian phonetics as used in lyric diction and considers the changes that occur between the manner in which a language isspoken and the way it is sung. These changes are due to the inherent differences between speech and song. Since it is written for the singer whose native language is English and who wishes to sing Italian, it is based on a constant comparison between Italian and English. This book guides the singer, by means of discussion and drill, to acquiring an efficient and effective Italian diction.